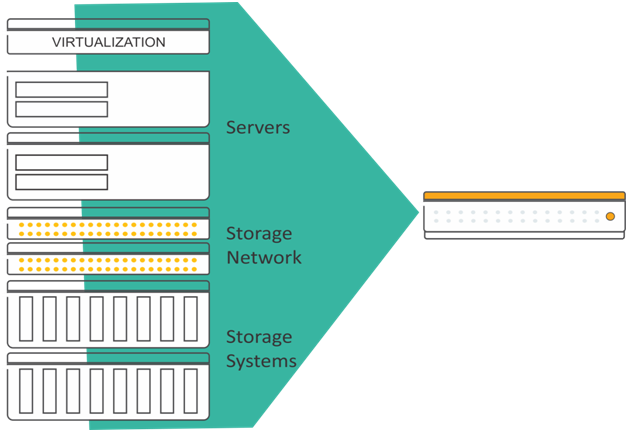 Hyperconvergence combines compute, storage and networking in a software-driven appliance. Hyper-convergence is a software-centric architecture that tightly integrates compute, storage and virtualization resources in a single system that usually consists of x86 hardware. A hyper-converged system is typically sold as a commodity hardware box, but it can also be sold as software that can be installed on a buyer’s existing hardware or as hardware purchased specifically for the installation. The tight integration of the components in a hyper-converged infrastructure provides its primary benefits: ease of management and ease of scaling. Because all of the components have been designed from the ground up or modified by the vendor to work tightly together, it is possible to manage all resources from one management tool or console, including compute, storage networking and virtualization.Hyperconverged infrastructure promises to deliver simplicity and flexibility when compared with legacy solutions. The integrated storage systems, servers and networking switches are designed to be managed as a single system, across all instances of a Hyperconverged infrastructure. The inherent management capabilities enable ease of use, and software-defined storage is expected to yield greater scalability and resource efficiency. Companies can start small and grow resources as needed. HCI vendors also tout potential cost savings in areas including data center power and space; IT labor; and avoidance of licensed software such as backup or disaster recovery tools. A Distributed Data Plane:that runs across a cluster of nodes delivering storage, virtualization and networking services for guest applications – either VMs or container-based applications. A Management Plane:that allows for the easy administration of all HCI resources from a single view, and eliminates the need for separate management solutions for servers, storage networks, storage and virtualization. How does hyperconvergence differ from converged infrastructure? Hyperconvergence adds deeper levels of abstraction and greater levels of automation. Converged infrastructure involves a preconfigured package of software and hardware in a single system for simplified management. But with a converged infrastructure, the compute, storage, and networking components are discrete and can be separated. 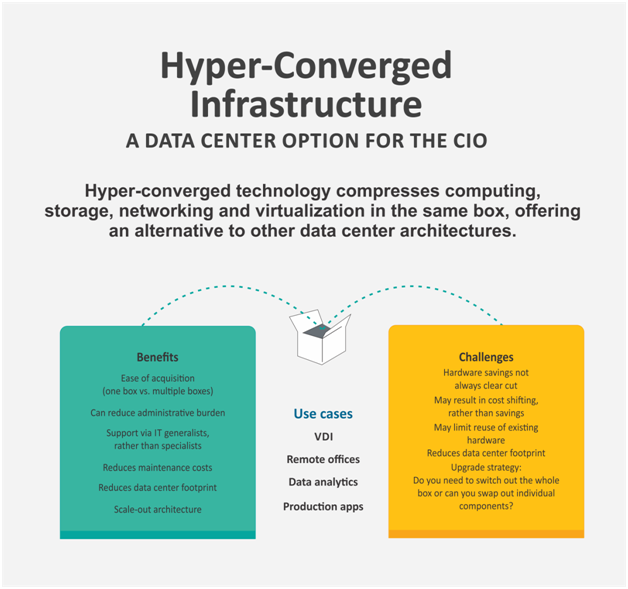 In a hyper converged environment, the components can’t be separated; the software-defined elements are implemented virtually, with seamless integration into the hypervisor environment. This allows organizations to easily expand capacity by deploying additional modules. According to market watcher IDC, sales of HCI grew by 104.3% year on year in the third quarter of 2016, generating $570.5m worth of sales, amounting to 22% of the total converged systems market value. Meanwhile, figures from rival analyst house Gartner suggest the market for HCI will be worth $5bn by 2019, with the technology gaining traction in enterprises as more businesses investigate its potential benefits. To know more about the solution and requirements please contact us!